A specialist vehicle staffed by police officers and paramedics will be operating in Leicester city centre over the festive period to help keep people safe on nights out. 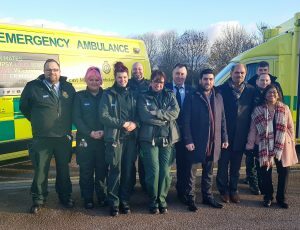 Leicestershire Police and East Midlands Ambulance Service will use the POLAMB to deliver a joint response both treating people who are injured and undertaking immediate investigative enquiries at the scene of incidents. It is part of a multi-agency campaign being launched to reduce alcohol-fuelled violence over the Christmas and New Year period. Detective Inspector Gareth Goddard, from the force’s complex investigation team, said, “The festive period obviously sees an increase in people out celebrating and enjoying the holidays and while we want people to have fun over the Christmas and New Year period, we also want people to remain safe and not to let excessive alcohol ruin their night out. “Our campaign aims to highlight the dangers of how a split second loss of judgement can lead to potential devastating consequences. We don’t want one night out to ruin a person’s life because one wrong decision is made. “Throughout December we will be raising awareness of how drinking excessive amounts of alcohol can lead to violent crime, working to reduce alcohol-fuelled violence and working to continually improve our response to incidents of violent crime on nights out. The POLAMB, which will be staffed by a paramedic and a police officer, will be in Leicester city centre over the weekends in the run up to Christmas and over Christmas and New Year from 9pm until 5am. A mobile treatment centre will also be situated near the clock tower in the city centre. This provides two treatment areas and will be crewed by a paramedic and a technician. Posters will also be on display across the Leicestershire area throughout the campaign period reminding people of the potential dangers of excessive drinking alongside the message, ‘Don’t give yourself more than just a hangover’. The scheme is being part funded through the Strategic Partnership Development Fund under the Leicester Nightlife Initiative project. The Office of the Police and Crime Commissioner has commissioned the project with Leicester City Council. 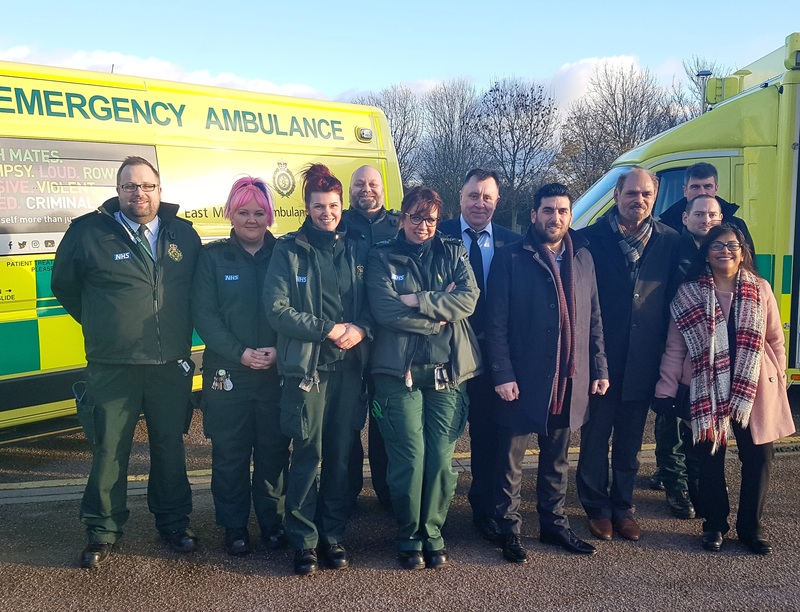 Lord Willy Bach, Police and Crime Commissioner for Leicestershire, added, “This is a superb example of emergency services working together to keep people safe and I’m very pleased to have funded this project.